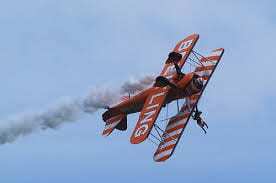 Home » Blog » Charities » Comments » Featured Articles » History » UK » Free Air Show in Eastbourne. 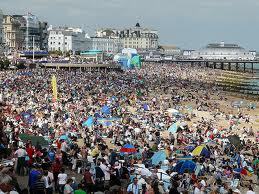 Free Air Show in Eastbourne. 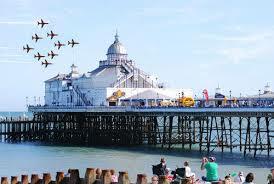 For four August days the skies over Eastbourne are full with the sound of planes. Some ancient, some modern, some even with people standing on their wings. 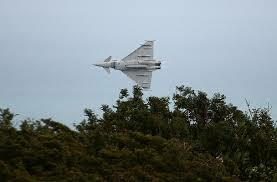 It is the largest free air show anywhere in the UK, displays over at least four hours every day. Planes and air forces come from all over the world to appear, and their fees are met by sponsorship as well as council, who see this as a perfect showcase for the town. The world-famous Red Arrows come every day, with their display usually lasting for just over ten minutes. The flying precision is simply stunning. They have a signature involving two planes creating a heart from red and blue vapour trails and a third then flying in the middle creating an arrow. Another part is flying upside down, hurtling towards another plane performing the identical manoeuvre at over 400mph, somehow missing each other with inches to spare. My two favourites over the last few years have been the four helicopters flying in unison with a Chinook military, just watching them missing each other had to be seen to be believed, The choppers had to be careful because if they flew too low, their downdraught threw the seashore pebbles everywhere. 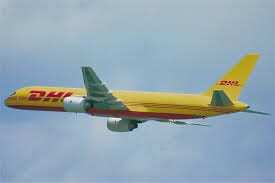 The DHL cargo plane is an unlikely popular part of the display, but to see a huge cargo plane with the company livery making a flyby with one wing dipping low was stunning. There is a butter substitute company called Utterly Butterly, and they sponsored the two wing walking planes for a few years. Once, only one turned up, and I was given to ask ‘Is that Utterly or is it Butterly? 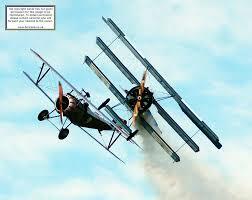 The mature lady Eastbourne mayor was one of the wing walkers that year. Brave, or what. There is a grand terrace overlooking the seafront, with a public lawn terrace in between. That is used by the organisers for displays, arena, tents, commercial activities, and the whole of the seafront is closed to traffic for almost a mile so pedestrians can walk easily. Initially Airbourne was created well over 20 years ago by some local business people who wanted to have something spectacular for visitors. It started with two days, and now has four. There is also a spectacular firework display one evening, lasting for a very long time with music to accompany. The economics are quite simple. The budget is underwritten by the local authority. Displays, programmes, public areas, are all sponsored. Some aerobatic teams give their time free, and at the end as people leave completely satisfied there is a voluntary bucket collection for local charities, this year being the RNLI. Is it dangerous? No displays are allowed over land. The whole sky is a no-fly zone. 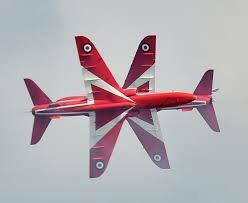 But that didn’t stop an idiot amateur Dutch pilot in 2006 straying, with the Red Arrows abandoning. The pilot was fined by the English civil aviation authority and licence suspended for a period. Disruption to locals? Inevitable. We don’t move the car, as we live within 30 metres of the seafront. Do we mind? Of course not.